I read that book about 11 years ago, as part of an environmental literature class. 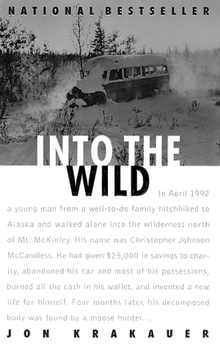 It hit home because I knew how Chris McCandless felt–a deep yearning to find some kind of authentic life. It’s something I’m not certain if many of the other students in the class could understand. I’ve done a lot of wandering, and I’ve been to some pretty isolated places. I would never have had the courage to stay.